You are here: Home / Software / Why Is My Firefox Using A Lot Of Memory? Sometimes Firefox uses too much RAM that slows down the processes. If it crosses the permissible limit, you may have to experience a Firefox crash. To make the things clear and how to solve these problems, this guide on ‘Firefox using a lot of memory (RAM)’ will be helpful. It is advised to up-to-date your browser before you work on Firefox. If your problem still persists, you are definitely going to find the solution here. Let’s start with the reasons for Firefox using too much RAM. Why Does Firefox Use So Much Memory? – You Must Know This! The consumption of memory may link to various factors. In most of the cases, it is because of multiple tabs opened in the browser. By reducing it to 2-3 tabs, you can get the normal performance of Firefox. Some users also work on low RAM on the computer system. It not only slows down the process of Firefox but also Windows won’t function appropriately. If you increase RAM, this could be a solution to the slow working of PC and Firefox. Do you have a query on ‘how much memory should Firefox use’? It depends on many factors including a number of tabs, type of website (e-commerce or others), version and more. It has been observed that users face challenges of memory uses up to 1500 MB and above. And, this could be fixed if you follow the below-mentioned guidelines. Check the memory usage parameters by using Windows Task Manager. It will display the CPU, memory, disk and network processes. It is also advised to monitor the performance of your computer by clicking on the tab next to ‘Processes’ in the Windows Task Manager. To open ‘Windows Task Manager’, press ‘Ctrl + Alt + Del’ and click on ‘Task Manager’. At any point if you are getting error in Firefox as Your connection is not secure, check out the given link for resolution. Firefox Using A Lot Of Memory – How To Fix It? To reduce Firefox memory usage, there are a number of ways. I’ve mentioned them all in a step-by-step method here. Whenever you find that Firefox is consuming too much memory, it is better to restart your web browser. It often helps you. 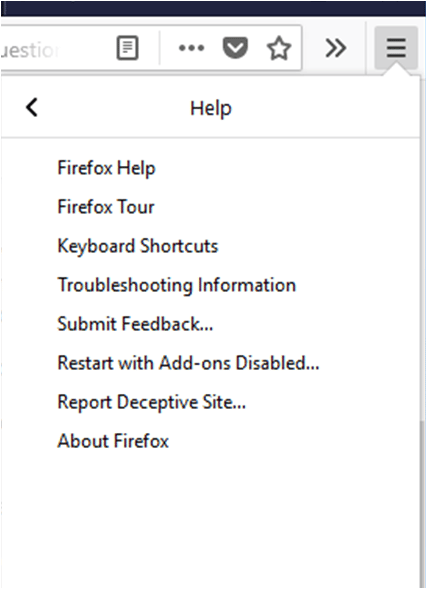 Before doing the same, configure Firefox to save opened tabs. It enables you to restart them from where you left off. So, reopen Firefox and restore the previous session from the options on the ‘Menu’ button. It has been observed that Firefox requires additional memory to run extensions and themes. If any of the extensions are not in use, you can disable them to reduce memory usage. And, it is advised to run Firefox on default theme so that there will be no lagging. It will definitely work. If you want to reduce more memory usage, then you can follow the next guideline and support your work. You can also prevent Firefox from updating automatically. Ad Blockers are extensions used for preventing the unnecessary loading of Flash contents and advertisements. At first, you have to download and enable them for the browser. 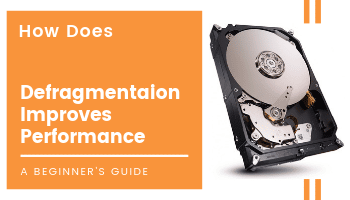 With this approach, it significantly reduces the usage parameters of RAM. You can also select ‘Ask to Activate’ setting for Add-ons like Adobe Flash player. Some of the best ad blockers for Firefox browser include AdBlock, NoScript and more. By following the above-discussed methods, you can lower down the memory usage. If you want to boost the performance to the next level, it is advised to run your browser in Safe Mode. It eases the memory usage and accelerates your browsing significantly. Hold ‘Shift’ and click on ‘Firefox’ icon on the Windows screen or taskbar. You get this dialog box on the Windows screen. To exit the safe mode of the browser, you have to close Firefox. Reopen it after a few seconds and use your Firefox in normal mode. No doubt, it is the best way to reduce memory usage of the computer. At times, faulty or backdated system drivers won’t run application properly. It not only shows errors but also hampers the performance of a computer. It is advised to check whether you have installed an updated driver or not. Once done, you must open Firefox and check its performance. Other than this, you can also take a step to close unnecessary applications running simultaneously on your computer. It may slow down the process and consume memory as well. How To Troubleshoot Memory Usage? For the convenience of the users, Mozilla has introduced ‘Memory Troubleshooting Tools’. With its use, you can reduce memory instantly. It lets you flush Firefox caches and helps you in fast browsing. Hope this information on Firefox using a lot of memory has solved your problems. For more information or any query, you are free to comment on the below box. If you found this helpful, you can share it with family and friends.